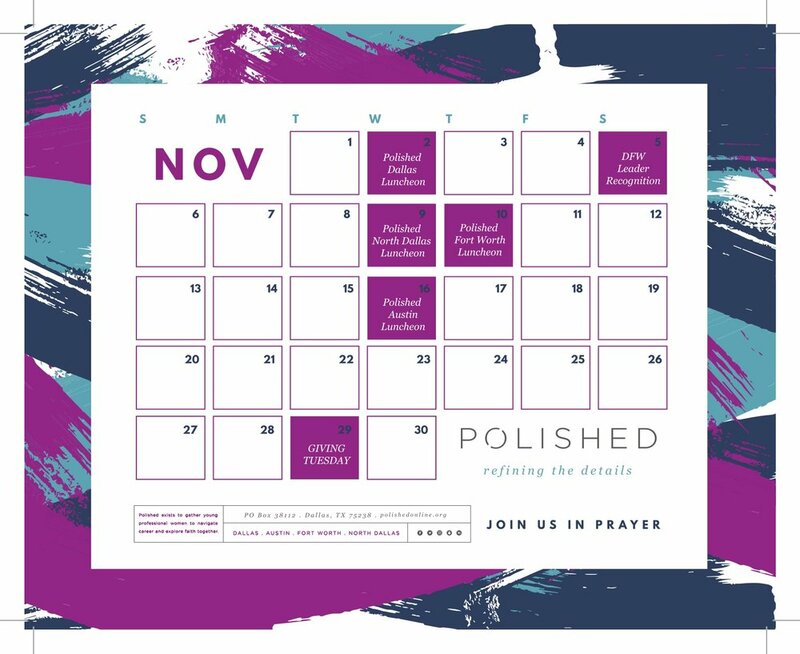 We would love it if you'd pray for us this month! Discipleship- that women would learn to share their faith in the workplace. We know you love this calendar, so we've made it available to download. Here's a thought: consider downloading it, printing it out, and putting it on your fridge or using it as your new screen saver!